Here we have the cyclist in it's natural habitat. Majestic. The Tom Lowry Memorial is an annual event held in Collie. 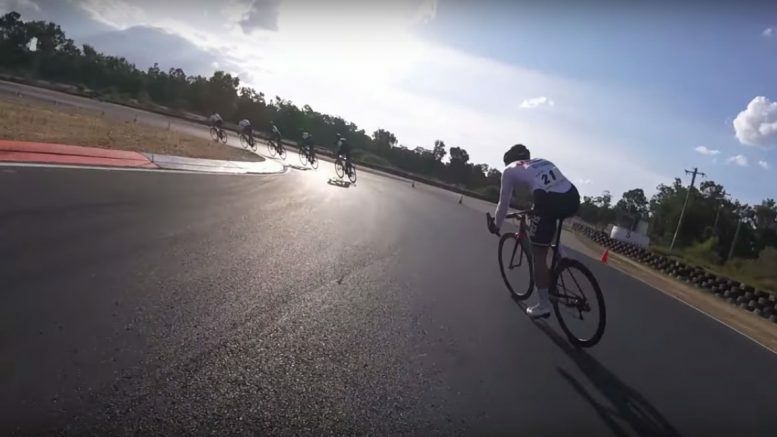 It consists of a criterium on a Saturday, held at the Collie Motorplex on a beautiful hotmix circuit with wide, fast turns. The road race is held the next day, the A grade course takes a lap of the Motorplex then a roughly 30km out and back to another lap of the Motorplex and repeat for a 121km race. It’s undulating but has no serious climbs. I headed down with Santic GDT team mate Jordan, our masseur and soigneur for the weekend (what a bloke!). Just a casual 221km drive, with some quality coffee and pastry on the way. We left with enough time to set up our room at the Motorplex, relax, catch up with mates and get warmed up with no panic. The Motorplex circuit is fairly long as far as criteriums go. It’s a smooth, hot mix tarmac with wide turns that suit a steady pace and 5 deep dive bombing. There’s some exposure to wind down the back straight. Aside from the finish sign on the track, not many hazards. Racing was very aggressive, there were maybe two brief periods of lull after the start. Other than that it was a solid composition of attacks and chasing. Leighton from Veris attacked pretty promptly and I bridged and rolled past for a turn to keep things moving. Leighton gave a moment of comic relief by yelling “TOUR DE LOMBOK” at the back of my head, I let him know that I’d forgotten my Veris jersey and instead opted to wear my far more stylish GDT kit. We were joined by Cade (Veris) but also, shortly thereafter, the rest of the peloton. Not long after was about the only other time I had a laugh instead of a grunt, Bryce (Satalyst) launched an attack to be promptly shot down by the whole Veris train. I think this was really my main attempt at a breakaway for the race. From here I spent time lurking, on patrol. I was keen to control what went down the road and what didn’t. I countered a number of moves and most definitely left a lot of sweat out there. My hardest moment of the race came when we got caught out by a split. Rich (our sprinter for the day) was forward of our main horsepower and started chasing. My heart rate was already at 175 when I jumped a 10s sprint to get to the front of the bunch and pulled a 49km/h chase for a kilometre to bridge the split back. Playback of the video reveals an audible whimper upon connecting back with the bunch. As I bridged the split back, 4 groups came together. Soon after we were able to establish some control. Some moves went off but myself and Jake rode tempo at the front. We kept the moves at a safe distance to settle the bunch, knowing we could bring the escapees back if needed. The peace accord would be broken again not long after. Coming to the end of the second last lap a lone rider went for a flyer. Tim from Satalyst started the chase in earnest and rolled off. I went to the front and gradually ramped for about 800m. 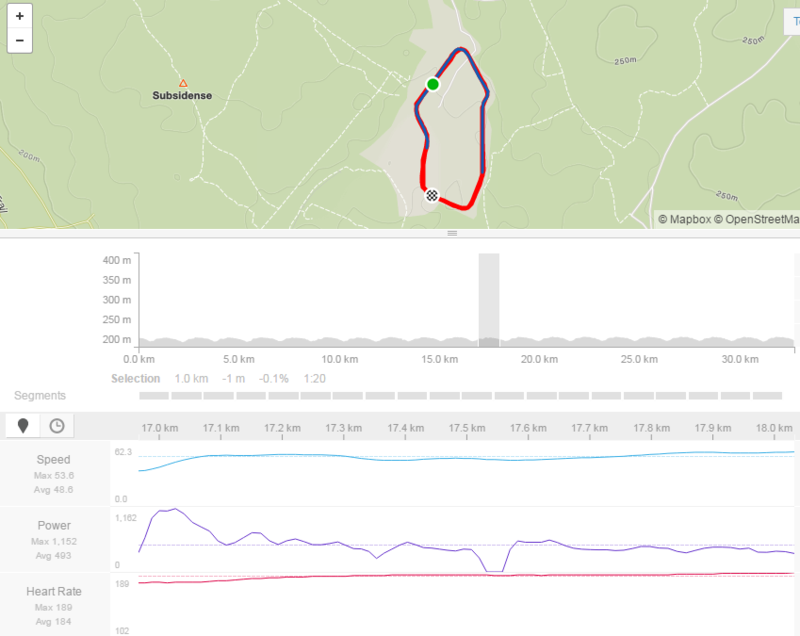 I had closing speed and thought I had things under control to catch at the last turn and then lead out the sprint. I was mistaken, other riders thought differently and attacked over the top of me. Ryan responded instantly and I yelled at Rich to grab his wheel which he managed smoothly under pressure. I drifted back and let everything unfold as there was no way to get back to a useful position. I rolled in casually to the line and took a lap to roll out the lactic. All up, I enjoyed the hell out of this race. Plenty of action and I felt strong. I was able to exert influence for my team and while it didn’t quite pan out to our best intentions, we raced hard, learned lessons and got more vicious kilometres in the legs. Be the first to comment on "Tom Lowry Memorial Part 1 – Criterium (video inside)"